HOW TO take care of your croc handbag. Understanding crocodile skins and how to clean and care for crocodile leather handbags. Crocodile leather is the priciest and most prestigious leather in the luxury goods industry. Understanding and knowing how to clean and condition your crocodile leather handbags is an essential of ownership. To understand why this animal hide is more prized than all others, we have to go a little bit beyond the scope of designer purses. The crocodile industry is tightly regulated by CITES, the Convention on International Trade in Endangered Species of wild flora and fauna. Enacted into international law in 1973; CITES regulates the trade in animals threatened with extinction from around the world. Crocodile Porosus, although not endangered at this time, could be easily wiped out if left unprotected. As a result, there's a limited number of licenses for the hunting and importing of crocodile porosus each year. This limited supply, along with the exquisite quality of the skin, combine for a very high starting price, charged by the centimeter. Additionally, high customs taxes on exotic materials, as well as specialized labor needed for the processing and finishing of this prized hide all add to the final cost. 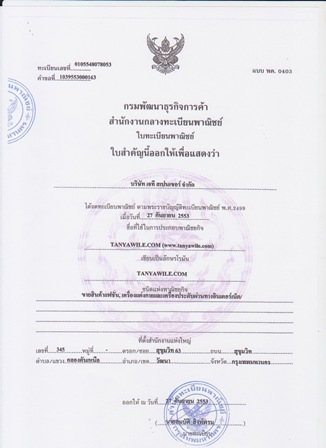 A minimum of six years experience in the trade are required to attain a license in the crocodile skin business. This is an art reserved for a very select group of people, as there are no schools to learn this profession. Machines can't be used in the making of crocodile handbags, because every piece of leather has its own unique scale pattern. This pattern distinguishes and enhances its natural appearance, but it also makes the skin very difficult to work with. The master craftsmanship that goes into these purses' assembly is truly world-class. By the time you stick a Hermès or Gucci label on it, you're looking at a four figure purchase price. Designer crocodile leather handbags start in the low thousands. We haven't seen an authentic new Crocodile Porosus purse for under two thousand dollars. Price will be your first indicator of authenticity. Sometimes, crocodiles can be more scary dead than alive! This is because of its high value on the commodities market today. A mistake during the skinning or tanning process can cause irreparable damage that translates into thousands of dollars in losses. For an interesting read and to get more information on the processing of reptilian leathers, go to Alligator Leather Handbags. Crocodile skin is a very soft leather, prestigious and ultra sophisticated. It retains its natural structure over the years but there are some rules to observe if you wish to keep your bag in perfect condition and preserve its beauty. Because crocodile skin is a natural leather, it's dangerous to leave a crocodile handbag exposed to direct sunlight for a long time, as the leather will dry out, crack and fade, losing its natural sheen. Considering crocodiles are waterborne creatures, it may come as some surprise that crocodile leather does not respond well to water. Prolonged and excessive exposure to moisture can cause the skin to bubble, dry out and crack. This is an irreversible condition. If your croc leather gets wet, dry it off with a clean, uncolored cloth. Let it dry indoors, naturally. Don't expose it to direct sunlight or heat such as a radiator or hair dryer. If your crocodile leather handbags get dirty, follow the cleaning instructions that came with the bag. If those aren't available, stick to using warm water and a clean, uncolored cotton rag. For stubborn stains, there are crocodile-specific leather cleaners and conditioners available. We cannot recommend any at this time because we haven't tested any products yet. However, we will be testing products in the near future. To get our test results and a product recommendation, sign up for our newsletter, The Purse Post, and we'll email it to you immediately following the evaluation. Do not use any chemicals or cleaners on crocodile leather. This includes cleaning and care products for conventional leathers or other exotic skins. The glazed finish applied to crocodile leather handbags is a thin, fragile layer that can be eroded away by these solvents. Once the finish is removed, the leather is more susceptible to drying and cracking. If you decide to take your crocodile leather handbags to a professional, ask what type of cleaner and conditioner they'll be using. Never assume they know what's best for your purse. Crocodile is a rare and prestigious leather. You'll need to find someone who has extensive experience with crocodile leather and an extended clientele of luxury goods owners. For greasy stains, sprinkle a light layer of corn starch onto the soiled area and let it sit for a few hours. Brush it off using a clean, dry cloth. Don't use brushes or paper as these will scratch the finish. Follow the above cleaning instructions after brushing off the bag. Some deep stains will never come out. With normal use, some of the oils that tanners put into the leather will disappear. These oils and compounds must be replaced periodically, in order to maintain the leather in good condition. Follow the above cleaning steps before conditioning your crocodile leather handbags. As we mentioned above, we cannot recommend any crocodile leather conditioners at this time because we haven't tested any products yet. However, we will be testing these products in the near future. An excellent natural leather conditioner is extra fine beeswax. First test it on a small, inconspicuous area to check for any unwanted reactions before applying it to the rest of the purse. However, in this case, beeswax is a very mild compound and should be safe on just about any surface. 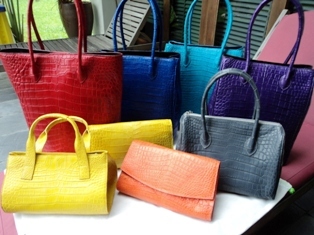 Condition your crocodile leather handbags at least once every other month to keep the material supple and healthy. Apply the conditioner or beeswax with a clean, soft and dry cotton cloth. Rub it in gently and allow it to penetrate for a few minutes. Then buff the surface to a shine using another clean, soft cloth. Store your crocodile leather in a cool, dry place when not in use. It should also be covered in its box or dust bag to prevent dust from settling on its surface. Don't fold or stress the purse in any way. Allow it to rest naturally, with plenty of space and nothing sitting on top of it, pressing it under its weight. Tuck the strap inside, especially if there's a chain or hardware on it. This will prevent it from scratching the leather. For more information on crocodile leather handbags and other exotic skins, try these other hubs for a comprehensive resource list for just about any type of designer handbag. Crocodile leather handbags can last you a lifetime if properly cared for. These priceless items are not only status symbols that exude refinement and wealth, but make a very clear fashion statement. Have fun and enjoy responsibly. I have a white croc tote purse, how do I clean it, it yellowed a little bit, have had for 10 years and in perfect condition as I prefer my stingray purses above all, thanks in advance.